Bon Cho (West Los Angeles) - Book Appointment Online! Very professional and very accommodating. I went in wanting to learn more about acupuncture and Dr Cho was very friendly and explained some of the science, techniques for remedies. He works with your goals, so it all depends on how much work you want to put into it. 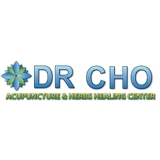 If you truly care to heal yourself, Dr Cho will meet you all the way.